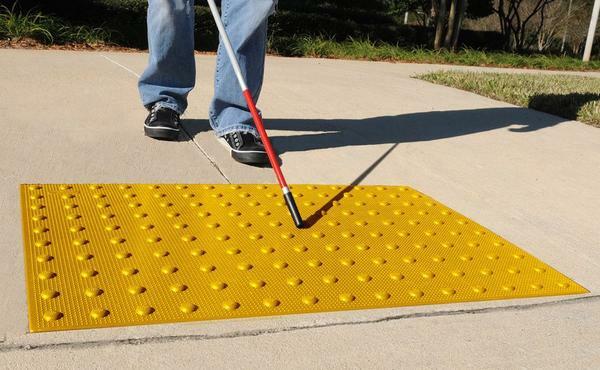 Across the nation, cities are evaluating the accessibility of their recreation programs and parks. While many parks and programs are still being reviewed and plans are being developed to make them accessible to all, some cities have already opened facilities and programs for those with disabilities. 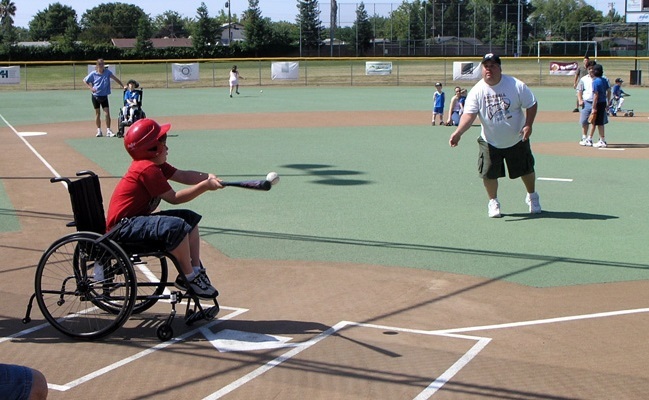 In California, the City of Sacramento has worked diligently with the Sacramento River Cats, a local minor league baseball team, to remodel and resurface a baseball field designed for people with disabilities. This forward thinking gave the City the resources it needed to expand its accessible sports programs. 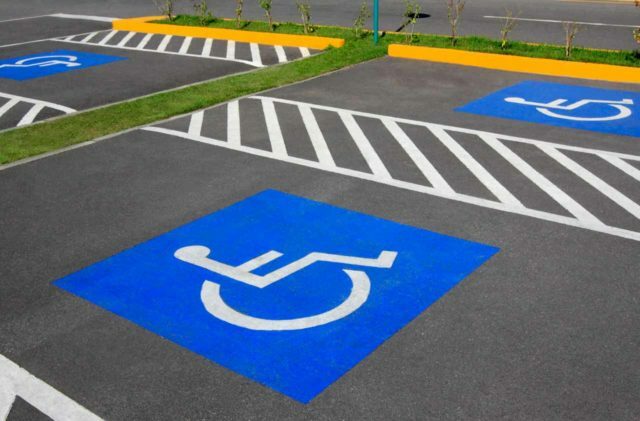 Car parking spaces shall be 96 inches wide minimum and van parking spaces shall be 132 inches wide minimum, shall be marked to define the width, and shall have an adjacent access aisle complying with 502.3. Van parking spaces shall be permitted to be 96 inches wide minimum where the access aisle is 96 inches wide minimum. 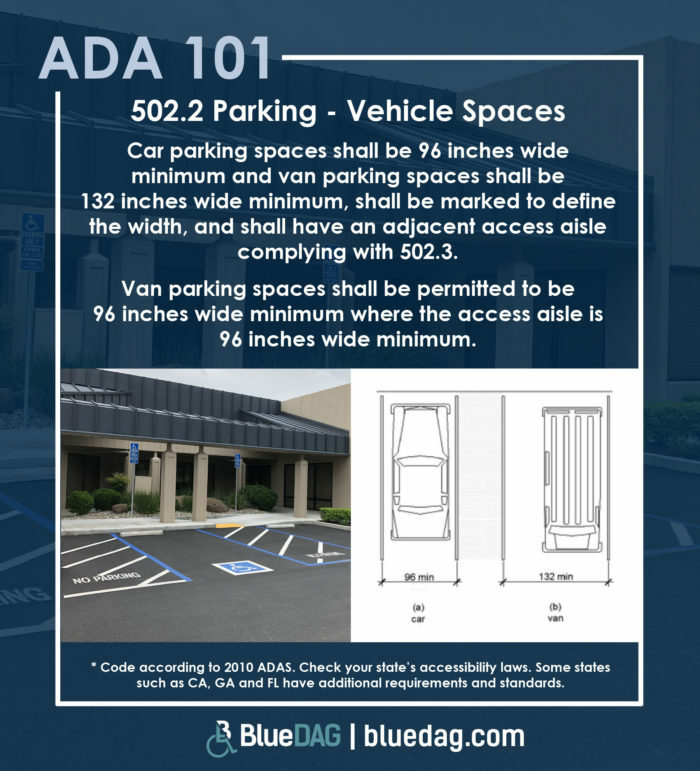 BlueDAG ADA Compliance Specialist Victor Felix shows how to measure accessible parking spaces and discusses requirements. 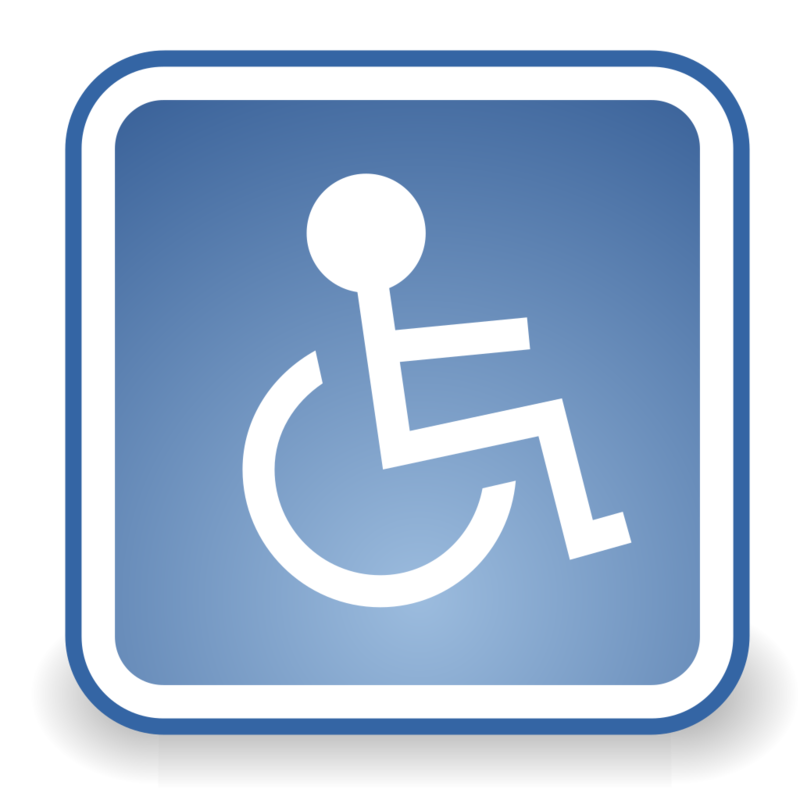 Where a wheelchair space can be entered from the front or rear, the wheelchair space shall be 48 inches deep minimum. Where a wheelchair space can be entered only from the side, the wheelchair space shall be 60 inches deep minimum. 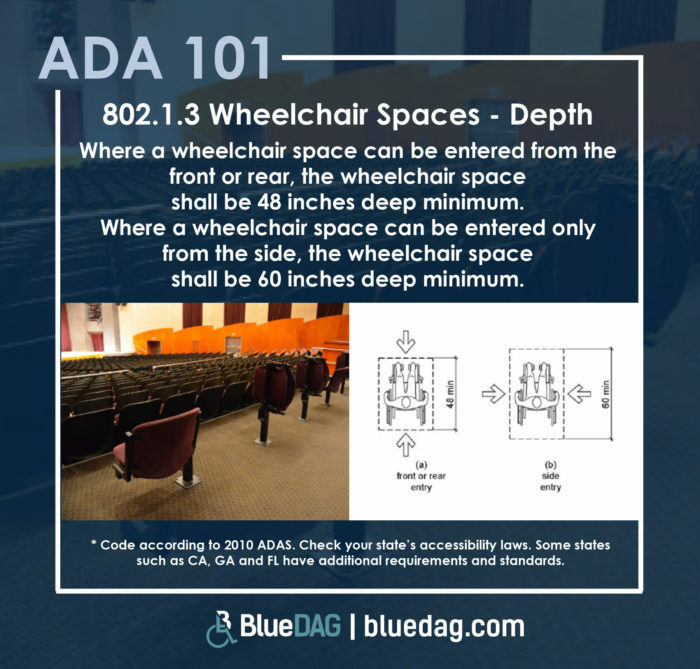 Since its passage more than 28 years ago, the Americans with Disabilities Act (ADA) has helped guide us to ensure the facilities we operate our businesses out of are accessible to all people. 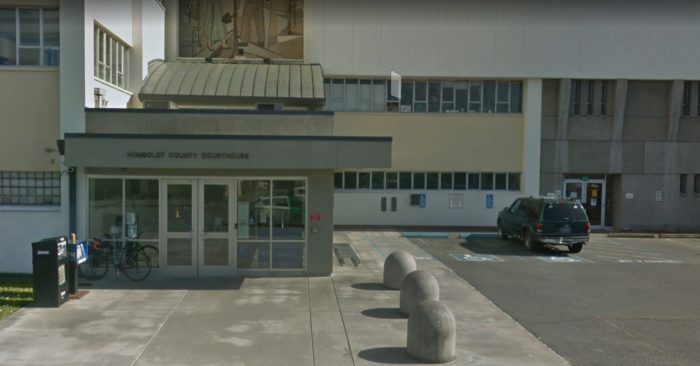 While the law’s application to new buildings is pretty clear, there are some myths about the limitations of the law on older buildings that can put businesses at risk. 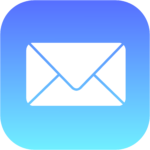 In a recent article in Kiplinger, some of these myths such as grandfathering and tenant obligations are clarified and debunked. As a rule of thumb, it’s always good to assume your place of business must adhere to the ADA. 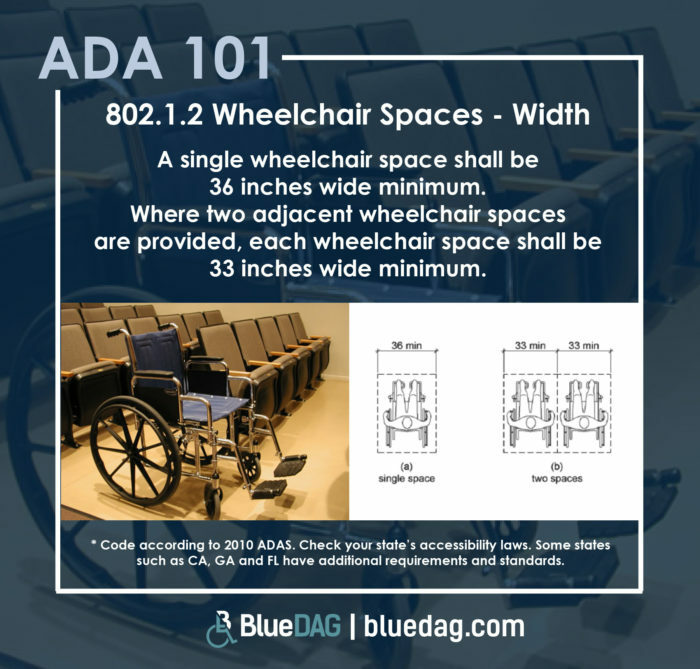 A single wheelchair space shall be 36 inches wide minimum. 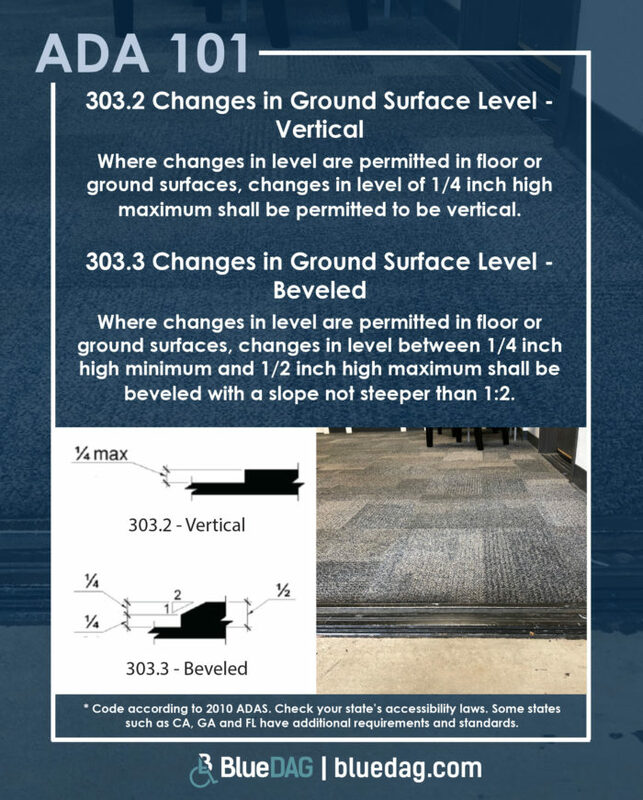 Where two adjacent wheelchair spaces are provided, each wheelchair space shall be 33 inches wide minimum.